Ocimum basilicum steam distilled from leaves and flowers in Hungary. Aroma: Sweet vaguely anise-like minty smoky odor. Herbaceous, slightly camphorous. I find the fresh and intriguing scent to be addictive - TTF. Common Uses: Prized in Ayurvedic medicine for its ability to strengthen compassion, faith and bring clarity. 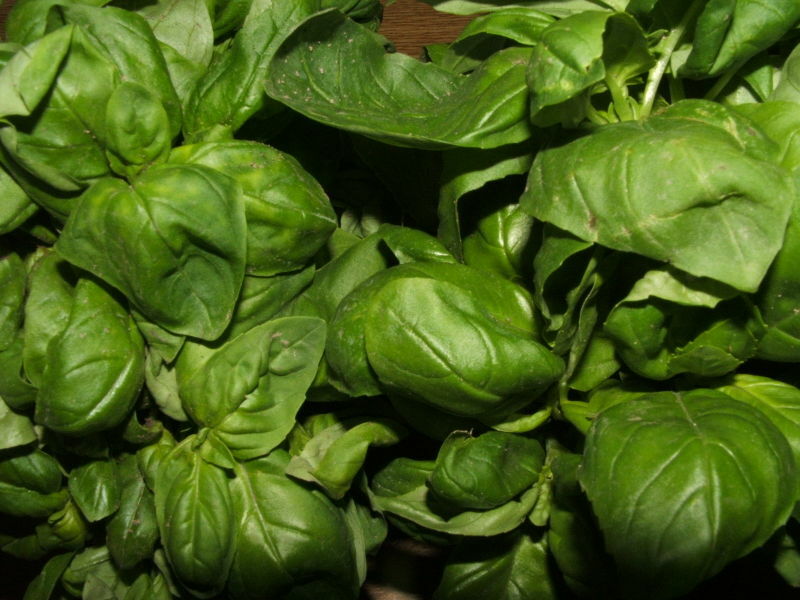 Basil clears the sinuses, promotes digestion and stimulates circulation, especially in the respiratory system. History: In Greek, its name means 'royal remedy' or 'king'. Beloved culinary plant of Indian, Asian and Mediterranean countries.